The Emery/Weiner School basketball team won a recent tournament championship. 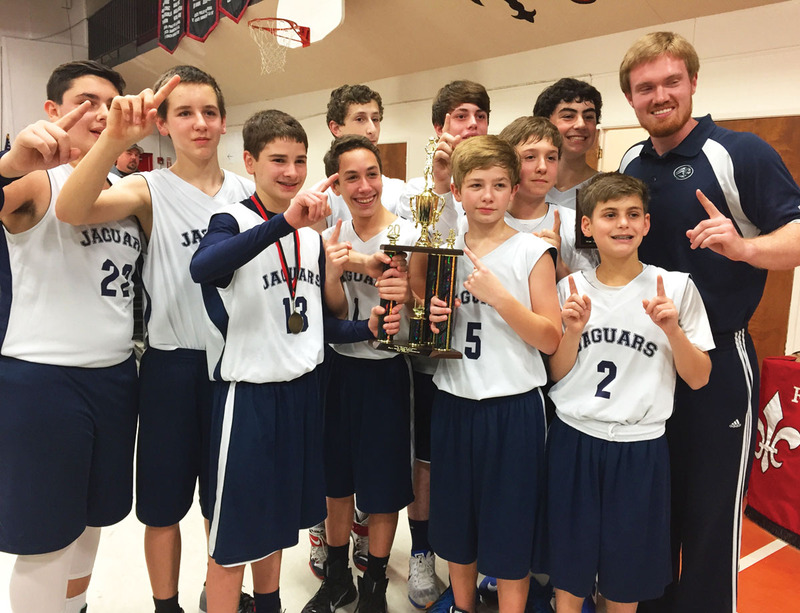 During the tournament weekend, the Jaguars defeated teams from Clear Lake Christian, Pasadena First Baptist, Bay Area Christian and Faith Christian Academy to earn the first-place trophy. Coached by Jason Reimers, the eighth-grade champions are (pictured, top row, from left) Moises Camhi, Will Ahlstrom, Ryan Folloder, Jake Jennings, Aaron Newar, Coach Reimers, (bottom row, from left) Blake Myers, Ben Levy, Luca Rubenstein, Clay Cohen and Cameron Roth. Aaron was named tournament MVP, and Blake was selected to the all-tournament team.